Below is what I consider to be the ideal portfolio of stocks built for the long-term. If someone handed me $10,000,000 with the imperative to construct a portfolio that will, comprehensively, make money in all environments, increase wealth by at least 5% in excess of the rate of inflation over the long term, and do it in a way that the total dividends paid out would be greater each year, these are the companies I would choose. 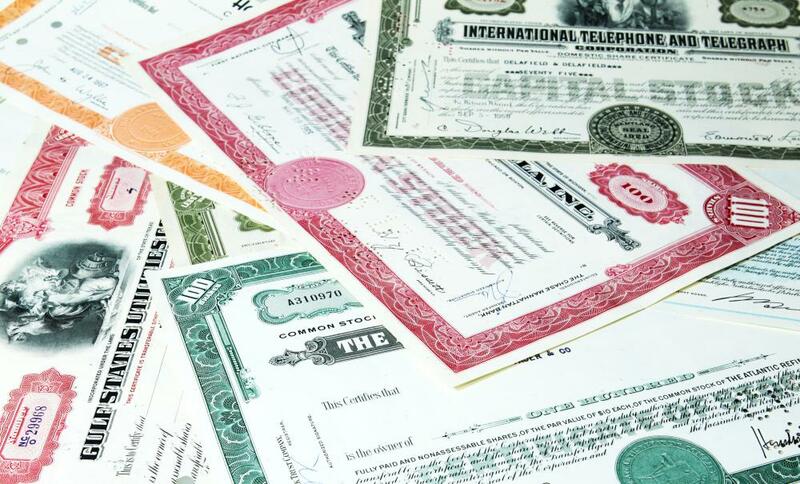 I should note that I make no assurances or promises about the future long-term performance of any of these companies on my stock list, and it is up to each investor to only purchase stocks after their own independent verification of the facts, consultation with professional advisers if need be, and with a willingness to accept full responsibility for the consequences of your own investment decisions. (1) I wanted to create a portfolio that was diversified across sectors, with Benjamin Graham’s advice to always hold 20-50 securities kept at the forefront of my mind. Even if one of these companies went bankrupt each year (something I find highly, highly unlikely), the earnings per share growth from the other firms should, in aggregate, still allow you to become richer than you were at the beginning of the previous year. (2) I wanted to keep in mind Charlie Munger’s advice to deal only in high-quality companies and to own firms likely to increase intrinsic value over most three and five year periods when measured. I believe that the companies listed below represent most of the dominant firms on the planet, with business models and economic moats that lend themselves favorably to buy-and-hold investing. They have strong intellectual trademarks and immense economies of scale in their distribution that make them hard for new companies to successfully compete against due to the presence of these two massive advantages. (3) I wanted to calibrate the exposure to banks, tech stocks, and retail companies. They constitute a small portion of the portfolio. From the perspective of someone interested in making investments with 20+ year holding periods in mind, you need to be careful of owning banks because of the debt to equity levels involved in the investment, you need to be wary of technology companies because they must constantly be innovating to remain profitable and relevant (unlike, say, Hershey, which could stick with its business model of selling chocolate bars for the next century), and retail stocks which are always subject to the risk of a new low-cost carrier arriving on the block. With that said, I believe that the companies listed on my stock list would constitute an ideal defensive portfolio that would minimize losses over the long-term and allow investors to experience the thrill of receiving more and more dividend income each year for the rest of their lives. The only company on the list which does not pay a dividend is Berkshire Hathaway, which I anticipate will begin paying a dividend within the next fifteen to twenty years at the latest. These are the businesses that are the foundation of corporate America, and I consider to be the best hallmark of any great investment portfolio (even if you are an index investor, one of the reasons that you have done so well over time is because my stocks listed below are a meaningful portion of the overall S&P 500 index). *Bold indicates my top fifteen highest quality holdings for life. The stocks on my list above are cash-generating machines. With the exception of Berkshire Hathaway, each one of them pays out a quarterly dividend every 90 days. In the past five years, ExxonMobil has paid out $12 per share in cash dividends. That means that, just by virtue of holding onto the stock, you would need to see the share price fall by at least $12 in order for you to experience a nominal loss on your investment. To see My Ten Largest Investments, you can purchase my ebook by clicking the link on the left or you can click here. Normally when I write about investing ideas, I hold little back. However, over the past year, I have come across seven companies that offer a high probability of being superior investments. These are companies with long track records of earnings per share growth well over 10% annually, steady management, entrenched moats and other competitive advantages, moderate or conservatively financed balance sheets, and current execution that suggests more wealth will be minted for shareholders in the year ahead. This is my best stuff, and I think that someone who buys the eBook will be rewarded with useful insights that will provide fertile ground for further research. Most of the companies in the book I’ve never covered in any of my writing, and a few I have barely mentioned in passing. It was exciting for me to put this together because some of the companies that I had discovered have been rarely discussed in the financial media—one example in particular sticks out in my mind. I found a stock that has been compounding at 20% annually since 1989, and has only been mentioned on Seeking Alpha three times in the past two years. And it’s a billion-dollar company. This is not an ebook telling you to buy Coca-Cola, ExxonMobil, Johnson & Johnson. This a book that identifies truly superior midcap (or on the small end of large cap) businesses and gives them each their fair due in a write up. The ideas presented are credible things that you could actually finding yourself buying and holding for long periods of time, and each of the stocks mentioned remained profitable during the worst of The Great Recession. If you are in the mood for a discount, you can purchase both as a bundle for the sale price of $19.99: “My Ten Largest Investments + Sainted Seven Stocks Bundle“.